Do you think you lack the skills of solving marital issues? If so, you are probably the best candidate for marriage counseling. There’s a lot that can happen in marriages and the people who survive through unhappy marriages usually have no choice other than divorce. They usually don’t speak about their unhappiness and hence they tend to go with the flow with the positive hope that there will be something good that will happen to solve things. On the other hand, there are many who try their best to make a marriage work. Whichever may be the case, they never think of reaching out for help through marriage counseling. If they did, they could have thought of other ways to resolve their marital issues other than filing for divorce. In short, most of the couples didn’t give themselves a fair chance to save their relationship. Don’t be that person. Look for help instead of dealing with a stressful and devastating situation later down the road. You can find some of the best couples counseling services, who offer licensed family therapists who have helped thousands of people. Don’t end up in the 40-50% of marriages that end in divorce in the U.S. You want to keep your marriage intact? Here are a few benefits of marriage counseling to keep in mind. Whether you and your spouse have different kinds of issues regarding your finances, intimacy, communication and scheduling, you might face difficulties in resolving things on your own. When both spouses have disparate views regarding any matter, marriage counselors will likely remind you that there are always marital disputes. A marriage counselor is the best person who can resolve things and this option is pretty effective when the couples are watching out for the best and practical solutions. Whenever you opt for marriage counseling, you’ll be investing in something which will grow in the near future. If you neglect your marriage, this will lead to an unhappy relationship or can even lead to divorce. Hence the same way, in which you take proper care of your finances and health, you should opt for similar care for your relationship as well. A marriage counselor will help you grow your relationship. 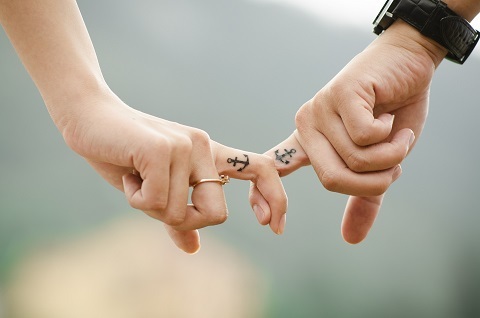 Marriage counseling deepens the connection and intimacy in between spouses. The ability to have meaningful and productive conversations with your partner is often interrupted by your children or work. Marriage counseling will let you create space where couples will have enough emotional intimacy in relationships. In case you’re having marital issues, it is best if you can seek help of counseling. Unfortunately there are many couples who wait until their marriage is on the rocks and only then do they see a counselor. With the help of a pre-emptive marriage counseling session, you’ll acquire several tools for solving issues and for saving your marriage in the future. These are just a few of the reasons why you should opt for marriage counseling. It’s not just recommended for couples with current issues between them; it’s also a good solution in healthy relationships. This is something to keep in mind the next time you’re evaluating the state of your relationship.